Urmas posted: We decided with Latvian colleagues to start Osprey cam about in mid March and not to miss arriving of those inhabitants of the nest. 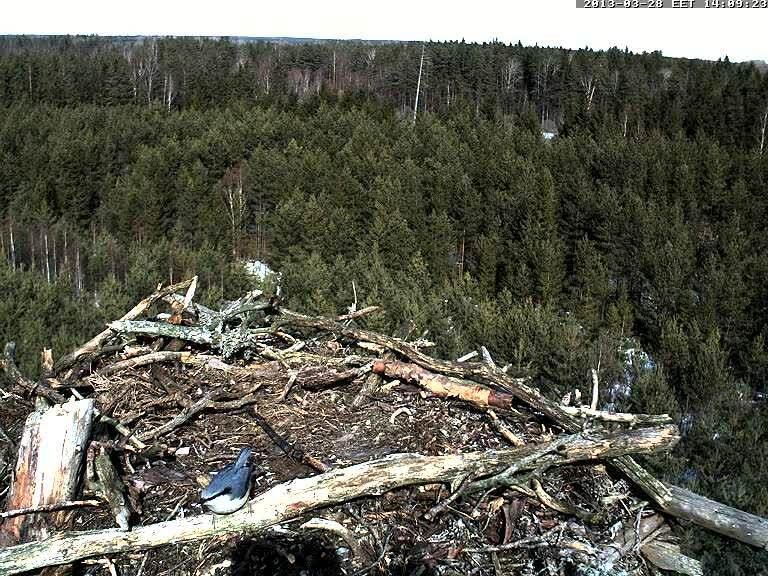 This is the second season for this webcam in Latvia, a part of the ESTLAT joint venture between Estonia and Latvia, Eagles Across Borders. Fleur's picture of Uldis (male) and Ulla (female) from 2012. Both Ulla and Uldis returned to the nest and mated more than once on this day. 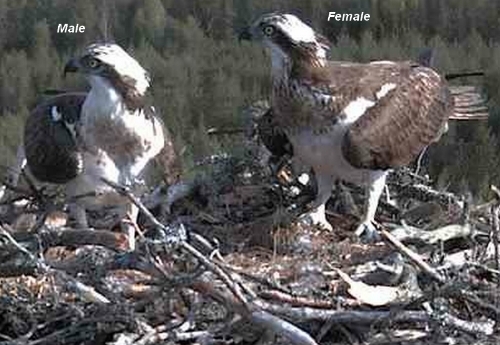 Three eggs were laid in April, three chicks hatched in May, and three chicks fledged in July. Chicks were named Melnītis, Pelēcis, and Mazulis by the Latvian forum members. Hatched May 29 (seen early in the morning, 05:17 for certain). ok, thank you Nancy, then he will go back on soon. 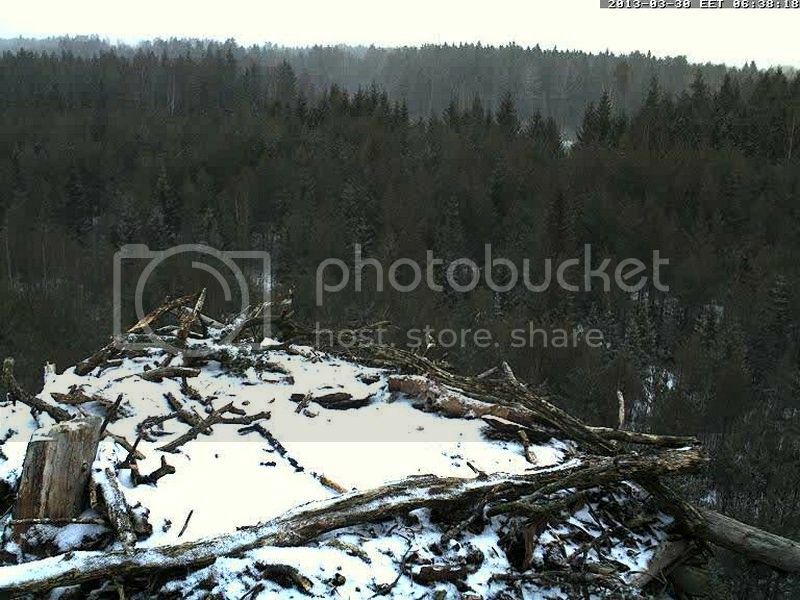 I see the cam is on right now and there's a bunch of sticks so big, they should be called logs!!! That nice news, cam is back again . 06:51 Cam is up this morning, but there is no one home and no visitors. nice sound from... a Woodpecker, but it's not the great spotted ...I think gray head woodpecker ? No, Fleur, it's Black woodpecker. I'm glad you want to help me every time vainamoinen. According to http://www.weather.ee/voru/ it's still cold in Estonia, especially at night (see the forecast), and Piret is already in Egypt (or maybe Turkey)... Do you think this will have an influence on the breeding season this year? What do you hear? Nothing but the rain.